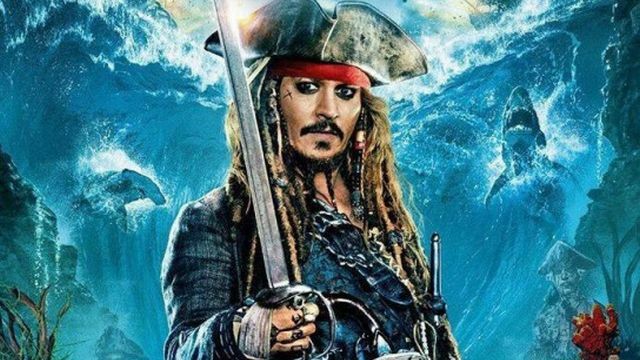 Over five movies, Disney’s Pirates of the Caribbean franchise has become one of the studio’s biggest cash cows. Though the Johnny Depp vehicles grossed more than $4.5 billion in 14 years, none of the sequels were able to match the critical success of the 2003 original. In fact, more recent fans would be surprised to learn that Depp earned an Oscar nomination for that film. But now, it looks like the House of Mouse plans to hit the reset button on Captain Jack Sparrow’s adventures. Deadline brings word that the studio has tapped Deadpool screenwriters Rhett Reese and Paul Wernick to conceptualize a reboot of the series. They would take over from Ted Elliot and Terry Rossio, who wrote the first four films, and Jeff Nathanson, who penned last year’s Dead Men Tell No Tales. Reese and Wernick have only begun “early talks” to join the franchise, so nothing is set in stone yet. However, it does state that longtime producer Jerry Bruckheimer will be remaining in his position to guide the pair’s efforts. The jury’s still out on whether Depp’s bumbling-but-valiant Sparrow will be brought back in a starring role. If he does return, however, it’s likely to cause a stir among moviegoers. Considering the studio’s response to old tweets from Guardians of the Galaxy director James Gunn, it’ll be interesting to see how they handle Depp’s character in the wake of the actor’s recent domestic abuse allegations. In addition to both Deadpool films, Reese and Wernick also scripted 2009’s Zombieland and it’s upcoming sequel. They also wrote the upcoming action film 6 Underground for Netflix, starring Ryan Reynolds and directed by Michael Bay. What are your thoughts on Rhett Reese and Paul Wernick coming aboard the Pirates of the Caribbean franchise? Let us know in the comment section below!